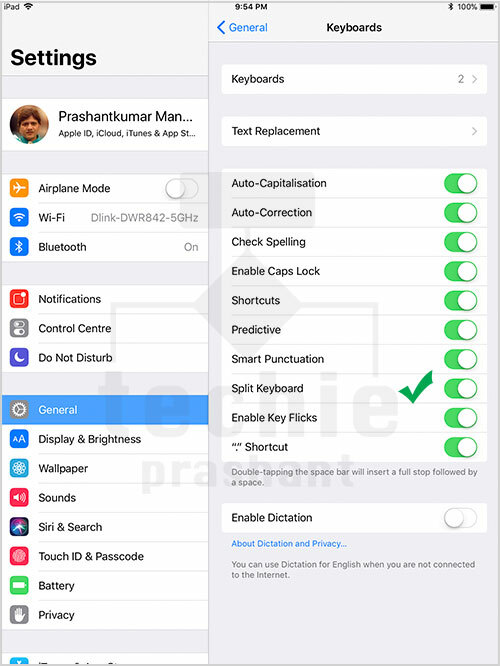 Note: Split keyboard support is available on iPad only for iOS 10 and iOS 11. 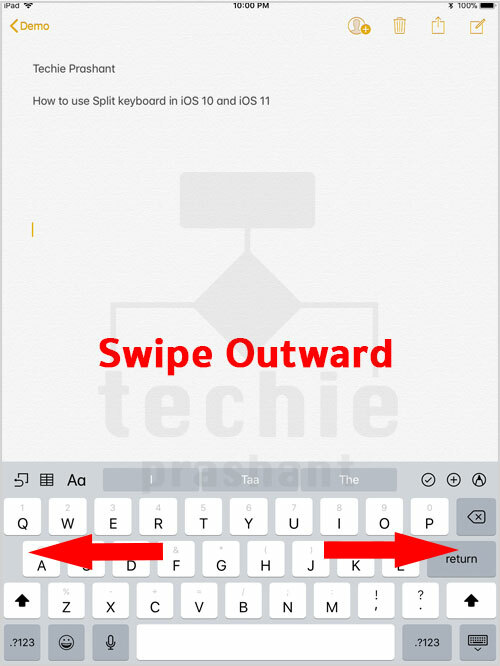 – Open Keyboard to edit text. 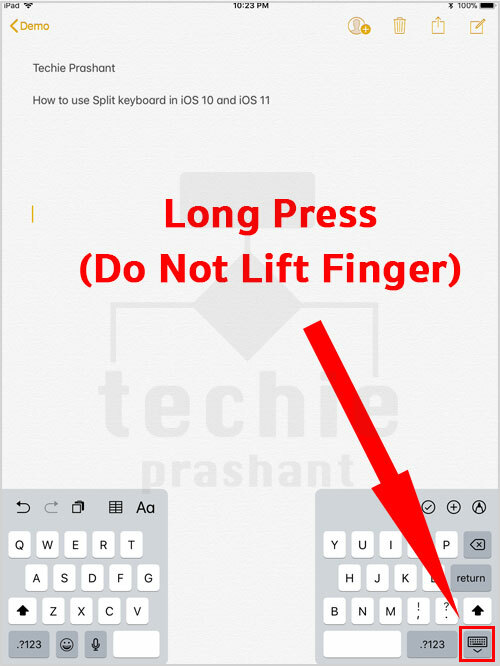 #2) Long press “keyboard” key (at bottom right), Do not lift finger. 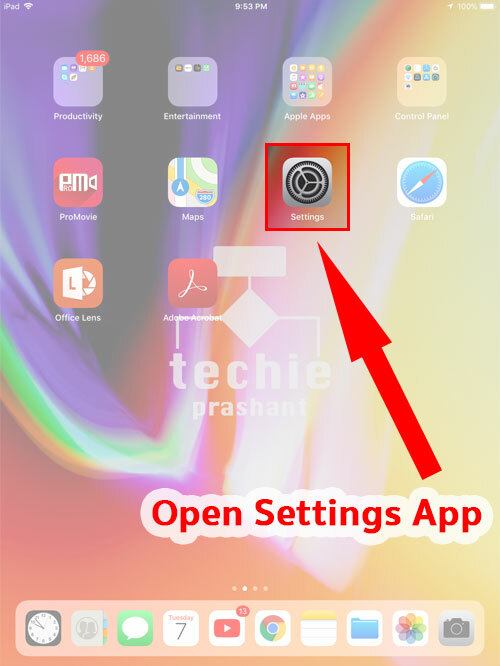 – It will open submenu for that key. 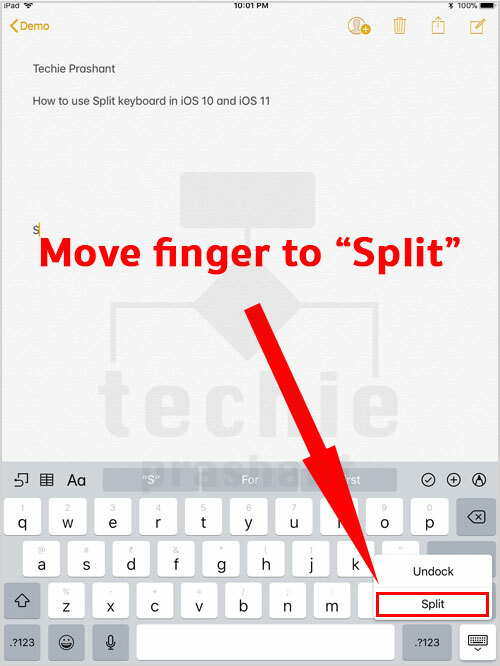 #3) Do not lift finger just move to “Split” option, then lift it. 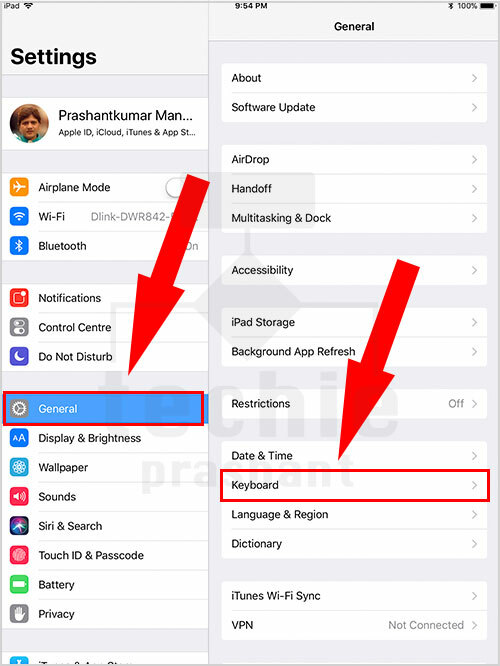 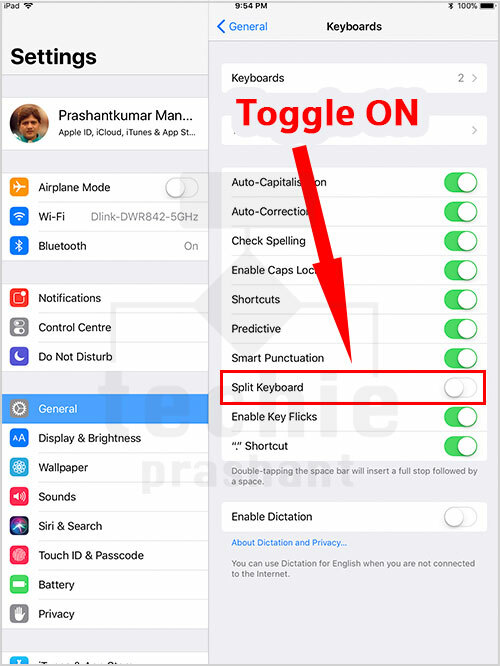 – It will split keyboard to left and right side of iPad. 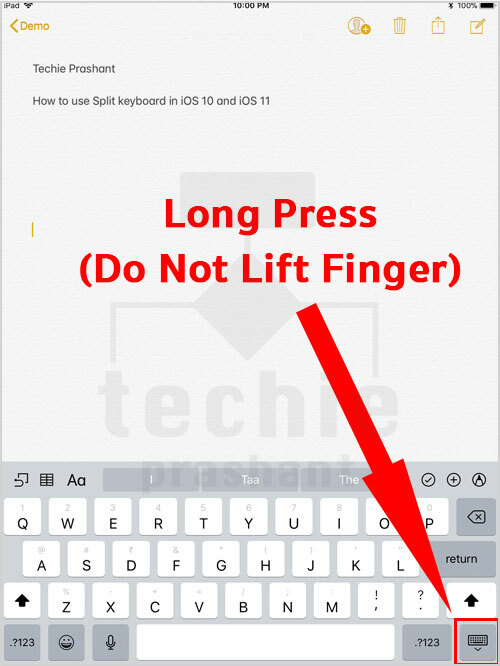 #1) Long press “keyboard” key (at bottom right), Do not lift finger. 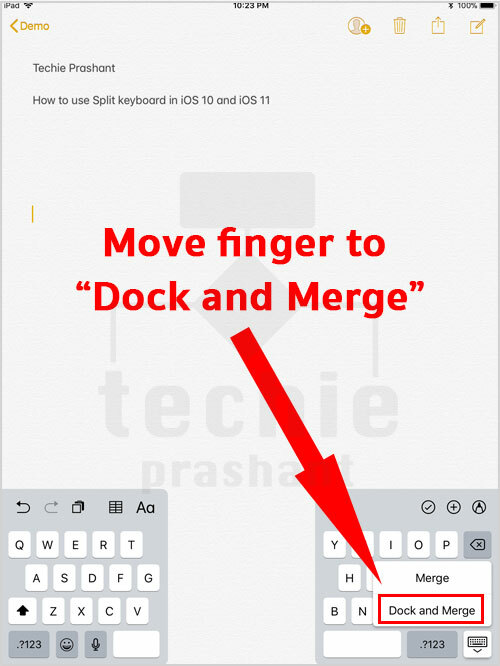 #2) Do not lift finger, just move to “Dock & Merge” option, then lift it. 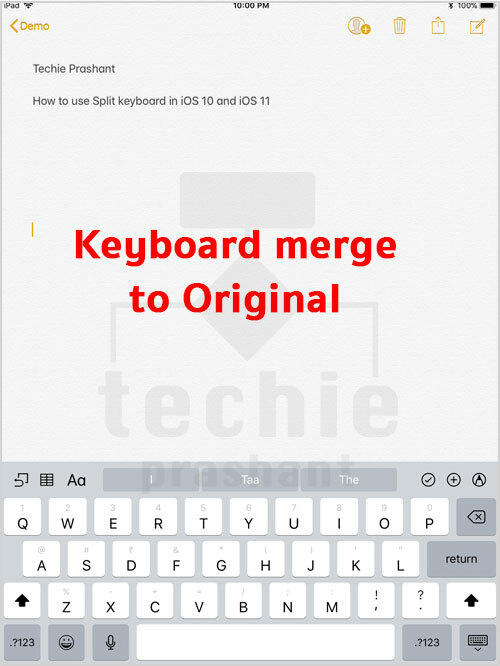 – It will merge keyboard. 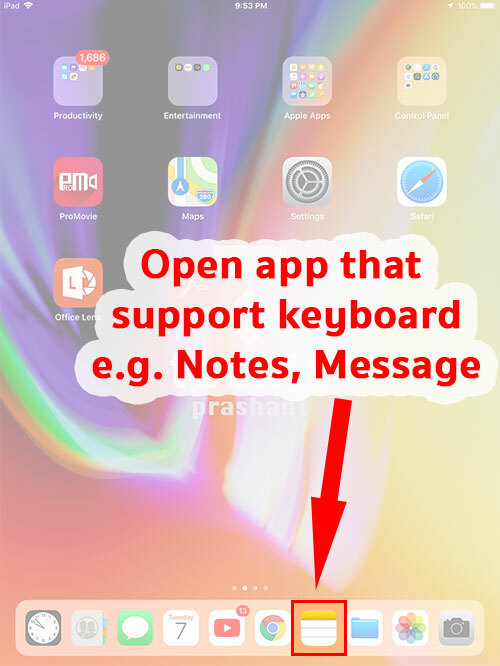 Swipe Outwards from middle of full keyboard. 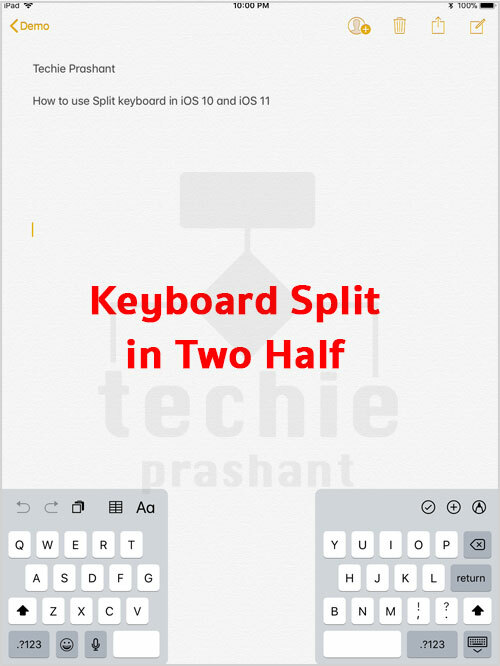 – It will split keyboard. 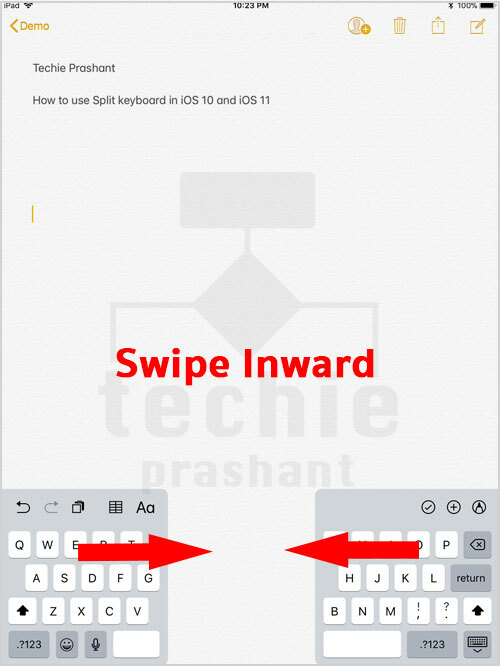 Swipe Inwards from split keyboard.